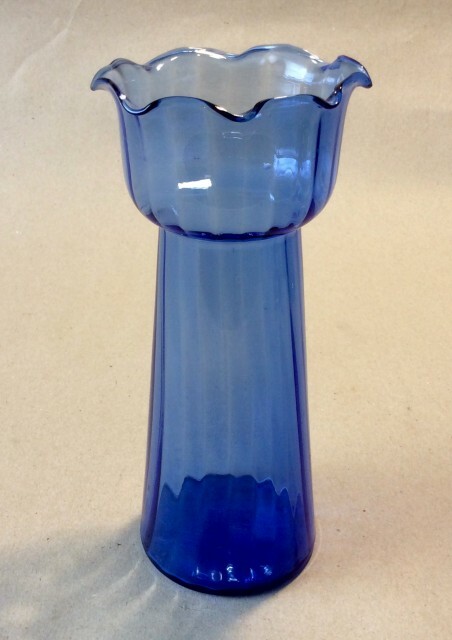 Antique Early 20th century blue glass Hyacinth vase. 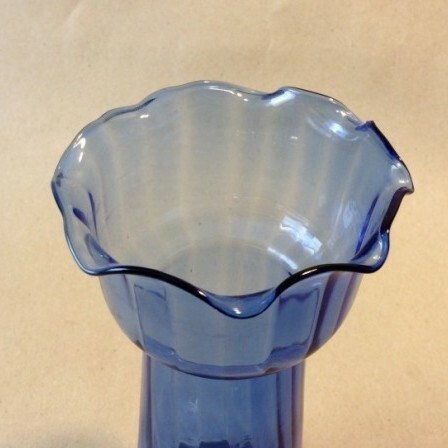 Description: 20th century ribbed blue glass Hyacinth vase with frilly rim. 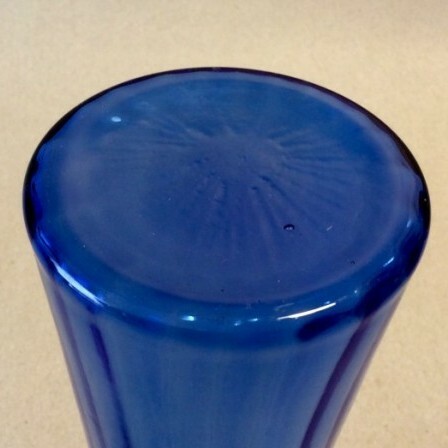 Thin but strong hard glass. No chips. Dimensions: Height 19.5cm, Max width 9cm, Diameter base 7.4cm.